The French philosopher Alexis de Tocqueville called Sicily "the land of gods and heroes," and if that's the case, Taormina is its Mount Olympus and the big attraction for cruise passengers visiting the Mediterranean island. This charming cliff-top town has pretty much everything you could want -- varied shops, a lively atmosphere, beautiful churches, medieval walls, lots of restaurants featuring good quality local dishes at affordable prices and best of all, fabulous views across the Med (particularly from its spectacular Greek amphitheater, where you can get a glimpse of Sicily's other big attraction, Mount Etna). Better still, Taormina is compact and easily explored in a short time, so first-time visitors can get a lot out of a day visit (including a chance to splash about in the Med off the town's pretty Isola Bella beach). 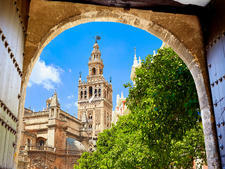 Meanwhile, repeat visitors will find plenty to do further afield in Sicily, a beautiful and richly historic island that has been shaped over 30 centuries by invaders from Africa, Asia, Arabia and Europe. Down the centuries, Sicily has played host to many legendary figures including Archimedes, St. Paul and Richard the Lionheart and (more recently) Goethe, D.H. Lawrence and those twin Hollywood deities, Richard Burton and Elizabeth Taylor. So, although you might find tourists thicker on the ground nowadays than either gods or heroes, at least you'll know you're treading in some famous footsteps. Smaller ships anchor in the large bay of Giardini Naxos and transport passengers to and from a small outdoor dock on tenders. 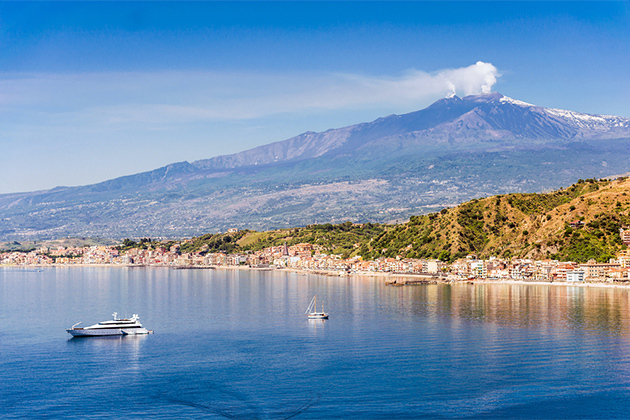 A bus journey from Giardini Naxos to Taormina takes about 25 minutes. 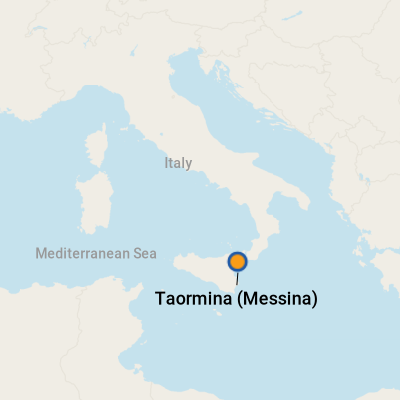 Larger ships go to Messina or Catania -- about 30 miles from Taormina -- and passengers travel to Taormina from there. Giardini Naxos is a tender port, and there's nothing there in the way of cruise terminal facilities -- just a small tented area where cruise lines provide seating and cold drinks for passengers. 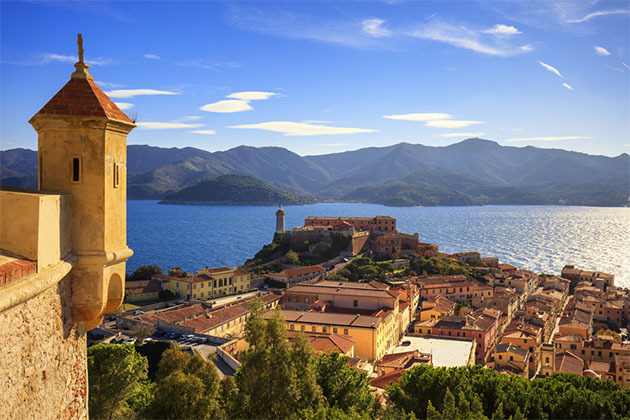 But Giardini Naxos is also an attractive seaside town set on a pretty bay lined with beaches that offer water sports and some jolly local restaurants, gelaterias and cafes. So, if you've previously been to Taormina and fancy a day by the sea, the coastal area at Giardini Naxos will provide it. Of the other two ports, Messina is marginally closer to Taormina, while Catania lies about 34 miles away in the foothills of Mount Etna. Tours to Etna run from all three ports, most meandering up to Rifugio Sapienza, a hotel on Etna's north side, which acts as "base camp" for various hikes around the impressive Silvestri craters. Uphill walking and -- at the amphitheater -- some steps and uneven ground. Wear sensible shoes and take a walking stick if necessary. Crowded streets -- especially in the peak summer months. Siesta time, generally from 1 p.m. to 4 p.m., when many shops close. If you're set on a serious shopping fest, head to Taormina in the morning. That said, this is a tourist town and tourist-oriented stores -- particularly along the Via Teatro Greco -- typically stay open at busy times. From Giardini Naxos, a taxi up the hill to Taormina can cost between 12 euros and 20 euros one-way -- so travel with three pals or take a bus from Taormina-Giardini railway station (at sea level) for around 2 euros each way. Buses and taxis stop at a car park below the main town and you ride up to street level in a lift (press the button for Level 7). Taking a taxi in from Messina or Catania costs an even heftier 150 euros to 200 euros (though that's round-trip and should include a couple of hours' waiting time, so it can still work out cheaper than a ship's "Go As You Please" tour if you can travel as a party of four). Be sure to negotiate the fare and waiting time in advance. Alternatively, you can catch a train to Taormina from Messina Centrale station (about 15 minutes' walk left, right and left again from the port) for 3.50 euros each way. A train ride to Taormina-Giardini from Catania costs 4 euros each way, and you'll find the station in Piazza Giovanni XXII, less than a mile from the port. Check return times, though; allow yourself plenty of time to get back to your ship, and don't even consider this if your ship calls at Sicily on a Sunday because train service then is very erratic. The official currency is the euro. For the latest exchange rates, visit www.oanda.com or www.xe.com. You'll find plenty of ATMs and exchange bureaus along Taormina's main street -- this is a town that wants you to spend your money. Tourism is Taormina's main business, so most people will speak at least a smattering of English. However, they will warm to any visitor at least attempting to speak Italian. In an emergency, dial 112 from any phone to summon police, ambulance or fire services. However nice your ship, try to have lunch -- or at the very least, a plate of antipasti -- in Taormina if you can., Sicilian food is a fabulous blend of culinary influences gleaned from the invaders who inhabited the island down the centuries. Thick, hearty fish and vegetable stews reflect Spanish and French influences, while the Moors brought eggplant and a love of rice and richly spiced sweet-and-sour dishes. These influences now blend with the Italian love of pasta, fresh herbs, juicy tomatoes, tangy lemons and olive oil to create a fresh, flavorsome but simple cuisine enriched with locally sourced seafood, chillies, pine nuts and olives. Local specialities include melanzane alla parmigiana (eggplant baked in cheese and tomato sauce), pesce spada affumicato (smoked swordfish), pasta con le sarde (with sardine, tomato, pine nuts and raisin sauce) and -- if you're feeling adventurous -- spaghetti al nero di seppia (featuring a sauce of black squid ink). Take home a bottle of speciality liqueur. Limoncello is Italy's most famous, but in Taormina, you'll find falling-down water available in all kinds of weird and wonderful flavors like orange, cinnamon and pomegranate. For a real taste of Sicily, buy some Marsala, a fine fortified wine first produced on the island by the Englishman John Woodhouse in 1773. Rich and addictive, Marsala is a little like sherry. Although it's known as a sweet wine, it has dry varieties that make an excellent aperitif when chilled (ask for Marsala Vergine). If bottles of booze are too much to lug home, you can pick up prettily ribboned packets of speciality pasta -- some shaped like large conchiglie (seashells), or frilled at the edges and tinted lovely shades of delicate ochre and pale dusky pink -- for a few euros in one of Taormina's many delicatessens. While we can't vouch for the taste, the pastas make a fine visual addition to a foodie's kitchen. Or pick up some biscotti, candied fruits and other goodies you'll find in ample supplies at the food shops. Sicily is famous for its wines, so if you're lunching there, sink a glass or two of ruby-red Nero d'Avola (made from one of Sicily's oldest indigenous grapes) or Etna Rosso, made from grapes grown on the slopes of Mount Etna.